You’ve heard the hype, but how does it actually work? Proton therapy works by attacking the DNA base pairs in cancer cells (Picture courtesy Pixabay user PublicDomainPictures https://pixabay.com/en/dna-biology-medicine-gene-163466/). Proton therapy is all the rage in cancer treatment, but even though you may have heard of it, you probably don’t know much about it. Here are the answers to common questions about proton therapy — what it does, how it works and why it’s getting so much attention. Proton therapy is an advanced way of treating cancer patients who need radiation therapy. Treatment involves using a beam of protons — subatomic particles carrying a positive charge — that is generated by accelerating hydrogen gas in a particle accelerator called a cyclotron. This proton beam is then directed to the cancerous site in the patient’s body. The beam can be shaped precisely to match the specific size and shape of the tumor. As the beam passes through DNA molecules in cancerous cells, the positive charge of the protons pulls negatively charged electrons in the DNA out of place. This ionization process changes the fundamental characteristics of the individual atoms that make up the DNA molecule, which in turn changes how its base pairs interact and replicate. 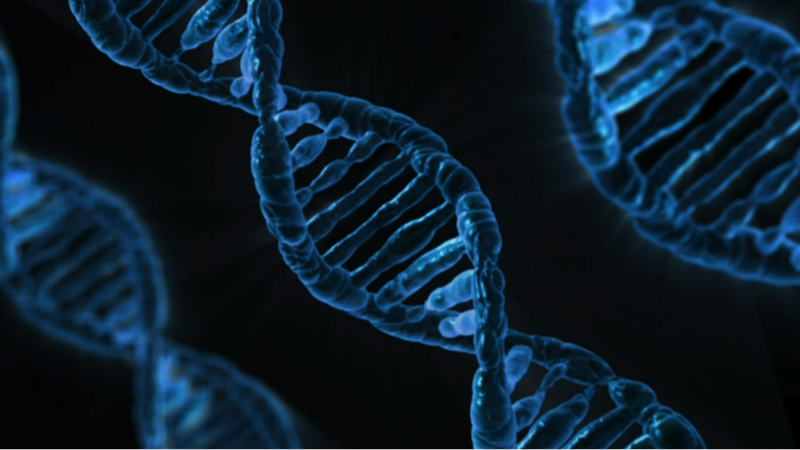 The DNA becomes so damaged that the cell can no longer function and undergoes apoptosis, or programmed cell death, in which the cell sends out signals to break down its own structures. Traditional radiation therapy uses X-rays, which expose the patient to potentially harmful electromagnetic radiation as they enter and exit the body. Protons, on the other hand, stop at a pre-determined depth inside the patient and do not deposit any radiation dose beyond that depth. “Because X-rays are less precise than a proton beam, treatment usually requires multiple X-ray beams at various angles focusing on the location of cancer in the patient’s body,” says Samuel Swisher-McClure, a radiation oncologist at the University of Pennsylvania’s Robert’s Proton Therapy Center. This means that with X-rays, patients can be exposed to very high doses of radiation and may also face the risk that healthy regions close to the tumor will be damaged, potentially inducing new cancerous tumors as a side effect. “Proton therapy doesn’t have these side effects because you can direct the beam so precisely,” Swisher-McClure says. This also means that proton therapy is most effective at treating solid tumors, such as breast, prostate and lung cancers, instead of blood cancers like leukemia. A Harvard physicist named Robert Wilson developed the concept of proton therapy, which he detailed in a 1946 paper. A few facilities began using it in the 1950s to treat eye and brain cancers. However, the world’s first hospital-based proton therapy center didn’t open until 1990, at Loma Linda University in Southern California. Why is proton therapy booming now? Interest in proton therapy picked up in the 2000s because the technology improved and commercial vendors began supplying the equipment, says Dr. Thomas Delaney of Massachusetts General Hospital in Boston. “Before 2000, we couldn’t deliver the same level of radiation dose with protons that we could with X-rays,” he adds. This renewed interest has led to 20 new centers opening in the United States in the past 15 years, with at least 15 more due to open in the next five years. Even proton treatment advocates like Swisher-McClure acknowledge that there are some concerns, including technical limitations and what he describes as “a lack of clinical evidence supporting its use.” While there is general agreement that further research is needed on its effectiveness, practitioners like Delaney have already observed that “in most situations, protons won’t irradiate normal tissue,” which is a major advantage over X-ray radiation. I’ve heard that proton therapy is expensive! Are those costs going to go down anytime soon? Additionally, many of the proton treatment facilities under construction are smaller in scale and have a simpler design than earlier facilities. Over time, these newer facilities may be more affordable, which could increase patient access to the therapy. “The only thing we have left to do is figure out how to make protons cheaper so that more people can get the treatment,” says Delaney. What about patients who want to try it now? Will insurance companies cover their proton therapy? Most insurance companies, including Medicare, will consider coverage for proton therapy as an alternative to X-ray radiation therapy, according to Swisher-McClure. According to a 2012 study in The Journal of the National Cancer Institute, the median Medicare reimbursement for proton therapy treatment of prostate cancer is $32,428, compared to just $18,375 for X-ray radiation therapy. However, coverage isn’t guaranteed: many insurance companies require additional documentation from the attending radiation oncologist to affirm that proton therapy really is a better alternative. If they’re denied overage, patients can appeal — many have done so successfully.